I’ve stated before my love for the Lips of Faith series, so I’m just gonna jump straight into this review. 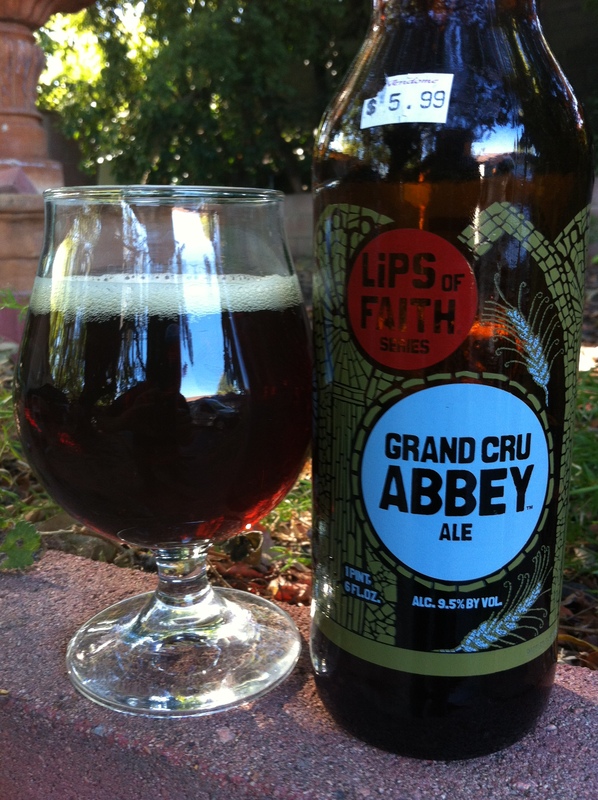 GRAND CRU ABBEY ALE is a Belgian Strong Dark Ale with a 9.5% ABV. 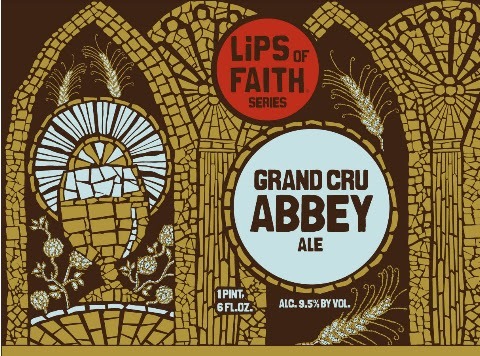 To date, Abbey Ale has garnered no less than 16 medals at the Great American Beer Festival 7 of those being Gold. Take that award-winning recipe, precisely increase the hops, malt and fermentation time, and the result is a Grand Cru worth collecting. And that s exactly what many of us at New Belgium, as well as a growing number of fans, have done. Although the picture doesn’t quite show it the beer pours a reddish-brown with maroon highlights. The head starts as an inch of tan before fading to a manilla ring. Some tiny bubbles can be seen hiding inside the dark liquid. Banana flavored Laffy Taffy, clove, red apples, figs, dates were all picked up in the nose. The banana candy flavors really dominated, giving it an overall sweetness that was very inviting. The banana returns for the start of each sip. It doesn’t last long though, before transitioning into clove and red apple notes. Backend is faint marmalade and crackers. Belgian beers are usually well put together and easy drinking, but they have a tendency to not hide their high ABVs very well, this beer is the exception. However, this alcohol becomes more noticeable the longer the beer sits outside of the fridge. The mouthfeel is light, but just barely. The alcohol I mentioned early can be felt in the form of some heat along my gumline. I liked this beer. If I didn’t know better I would think it was a legit Belgian beer, but that’s the problem, Belgian beers are often times way too predictable. The styles have been around for hundreds of years and give brewers very little wiggle room. I guess that’s more a complaint about the style and not this particular beer.